Industrial IoT is changing the ways a broad range of verticals conduct their business with promises to revolutionize the industrial prowess by optimizing the efficiency of systems within the organization. The amount of advancing technologies is overwhelming and one of the biggest challenges faced by most businesses is the integration of legacy, current and future mission-critical systems with IoT solutions whilst ensuring its scalability. Legacy systems are more disparate and there is a high probability that the amalgamated data may still be sent back to the cloud for futher processing. “Now when you send data back to the cloud, there is a latency issue, there is a bandwidth issue and an excessive storage issue at the backend. The data collected may not be processed in a timely fashion into actionable insights. 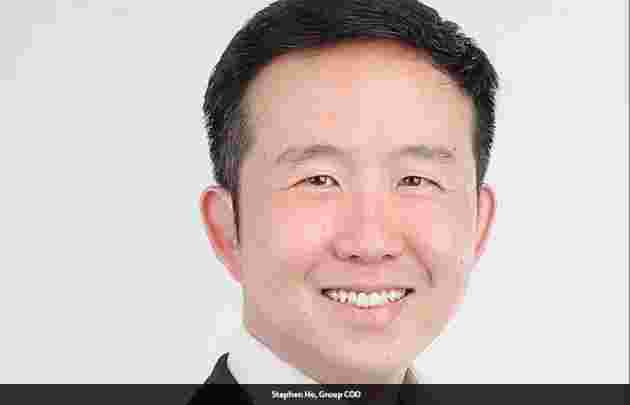 Ultimately, you want actionable insights and want to be able to manage or control your mission critical devices effectively and in real-time,” explains Stephen Ho, Group COO, SkyLab Holding and Managing Director, SkyLab Services. It has almost become the norm that short latency services should be seen by the market as a unique quality. Perfectly poised to address this challenge is SkyLab Services, headquartered in Singapore, with its critical and highly robust IoT data logistic and data acceleration solutions that are extended to enterprises assisting them in attaining valuable actionable insights and driving proactive actions on asset optimisation and resource management. Skylab Holding is made up of three different companies – SkyLab Networks, SkyLab Services and SkyLab Innogram, which is SkyLab’s core development technology center. SkyLab comprises a team of technically adept professionals with deep domain expertise blended with edge technological know-how to ensure a satisfied clientele. Since its inception, SkyLab has worked with several renowned clients across the globe. One such distinguished client that approached Skylab was one of the largest solar green energy players in the market, with solar panels on rooftops across 1800 different locations in Singapore. They were on the lookout for a solution provider that could facilitate them with a system that would ingest data from devices in the field accurately, securely and expeditiously, as well as needing to source a way to measure the amount of energy being produced by the solar panels and had strict Service Level Agreement (SLA) that they needed to adhere to. All their needs were successfully met by SkyLab. With the aim to empower Industrial Internet of Things with secured connectivity, accelerated data transmission and actionable insights, the company has geared itself up for the future. With their industry-rich expertise in this market, the team is working at strengthening its STA™ protocol whilst simultaneously pushing the trend of edge computing forward as they have recognized the paradigm shift from cloud to edge computing.